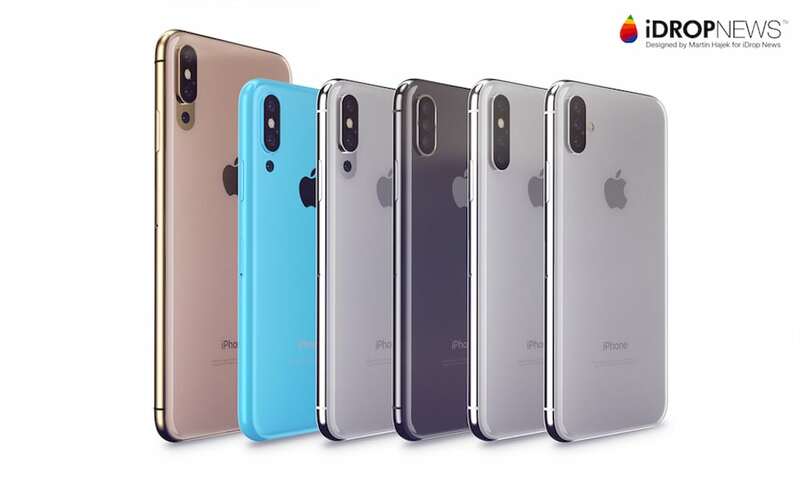 AKorean news publication is predicting that the next Apple and Samsung flagships could both sport triple-lens rear cameras. The report, published Friday by The Korea Herald, focuses mostly on Samsung and its rumored Galaxy S10. The device, which is expected to debut in early 2019, could come equipped with a three-lens camera setup and a rear-facing 3D sensor, according to the outlet. That forecast comes from KB Securities analyst Kim Dong-won, who made the claim in a new investors’ note distributed to clients. “Samsung, which has a lower-than-expected demand for its latest Galaxy S9 lineup, will consider to equip its next premium phone with the triple cameras and a 3-D sensor to reinvigorate its smartphone business,” the analyst wrote. But while it’s mostly a Samsung report, there’s a small paragraph referring to the Korean tech giant’s primary rival: Apple. “One of Apple’s next premium smartphones, reportedly named as the iPhone X Plus, is also anticipated to come fitted with three camera lenses on the rear,” The Korea Herald wrote. This isn’t the first time we’ve heard about the iPhone adopting a three-lens setup. But while The Korea Herald is probably correct in its triple-lens prediction, it’s worth noting that its timing might be off. A handful of reports have indicated that Apple is considering adding a three-lens rear camera to at least one iPhone in 2019. But, thus far, we haven’t seen any solid evidence that a triple-lens iPhone could debut this year. There could be some cause for confusion, however. In April, iDrop News put together a set of renders depicting what a three-lens iPhone could look like. One of those renders showed off an iPhone X Plus-style device with three camera lenses. Several other media outlets picked up the renders but mistakenly suggested that we believe this year’s iPhone X Plus will sport a three-lens setup. In reality, the images are meant to be concepts for a 2019 iPhone. Of course, with the launch of Huawei’s triple-lens P20 Pro and news of Samsung following suit with its Galaxy S10, we assume Apple won’t be far behind. Presumably, Apple’s first triple-lens smartphone would be the successor to this year’s so-called iPhone X Plus. Alternatively, Apple could add triple-lens cameras to several devices next year. In any case, we’re not expecting a triple-lens iPhone until 2019 at the earliest. Most reports indicate that this year’s iPhone lineup will retain dual-lens cameras.